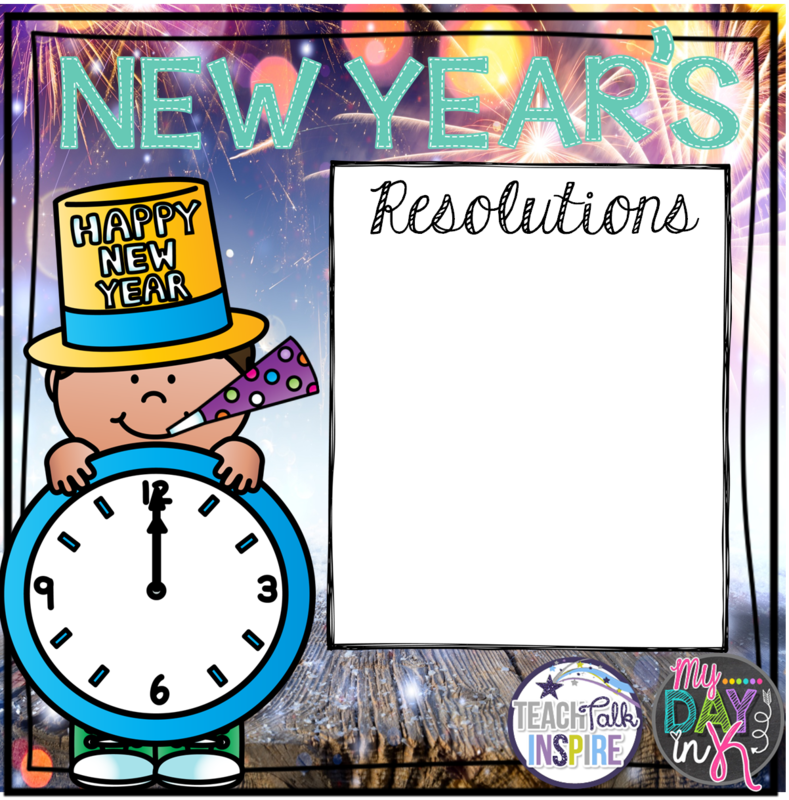 I'm so excited to link up with some of my favorite bloggy buddies, Teach Talk Inspire & My Day in K, to share my New Year's Resolutions for 2016! 2015 has been quite a year. 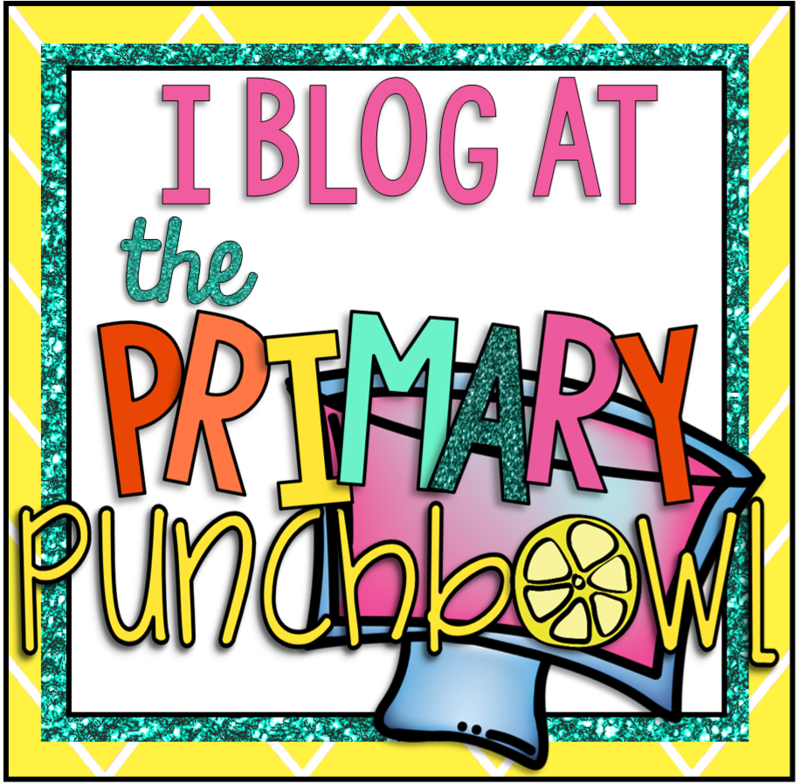 I started this little blog of mine, opened a TPT shop, and I found my tribe at The Primary Punchbowl! I know it can only get better from here. I usually use part of my summer to get into my classroom, clean things out, reorganize, and get ready for the next year. I like to do it just after school lets out while things are fresh on my mind. But due to over a year of construction, our campus was off limits for the last two summers! I am hoping that 2016 will give me more time to get reorganized so I can find things and work smarter, not harder! I have two very active girls and now that they are both in elementary school, it's time to focus more on getting myself moving, too! I'm hoping to find time in my week to get my heart pumping and get some exercise. Though I'd love to get in better shape, my main focus is to increase my energy level. I always feel better when I'm more active! Blog - Get a schedule! I feel like I started this blog with a BANG and did pretty well keeping it going through the summer. However, since this school year started, I've had a really hard time finding time to write and post! This is going to change in 2016! I have some fun things to share and I'm going to get myself on a schedule to be more regular with my blogging and creating. Thanks for sticking with me this far! Want to join in on the fun!?! 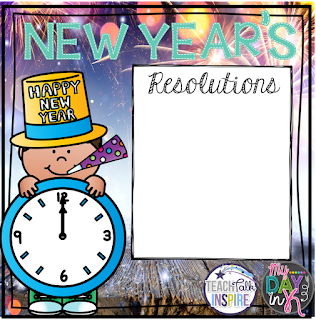 Grab the image below and link up with the rest of us to share your resolutions for 2016! (Don't forget to link back to this post!) Then hop around to see what the others have planned for the year ahead. 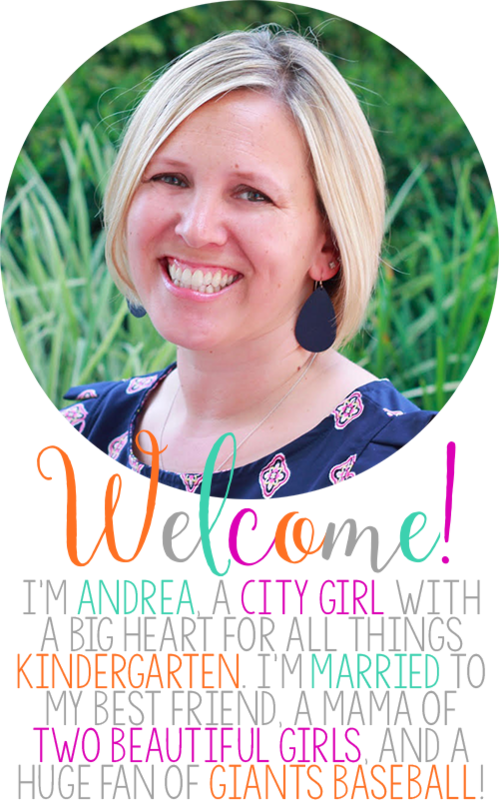 Andrea, you have some great resolutions! I also want to get a schedule put together for my blogging. Like you I felt like I did awesome this summer, but this fall got away from me and it was so hard to sit down and find the time to do it. I hope that will change in 2016. Thanks for linking up with us! Have a great start to the new year. I love your goals. I also want to put a schedule together for blogging. As far as moving, I can recommend 21 day fix. It is 30 minute workouts and it is awesome. Time wise it is great. Now reorganizing is great. I feel like I am so not organized even though I have teacher friends that say I am. I think I might try and mover from filing cabinet to binder organizing. 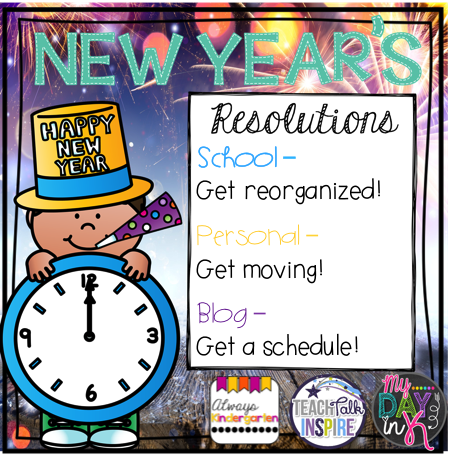 Great resolutions! Well we have several resolutions in common. I have exercising and blogging on my list too. I so agree I actually have more energy when I exercise. I am getting bright and early tomorrow! I didn't put organizing in my room on my list, but there are a few oreas of my room that I do want to work on. Wishing you an amazing 2016! Hugs my friend!